Syllabus of the Online Course (Subject): World Customs Organisation (WCO). Harmonised System. Area of Knowledge: Foreign trade. The World Customs Organisation (WCO) is the sole intergovernmental body fully working on customs and international trade (imports and exports). The 177 members of the World Customs Organisation represent 98% of total foreign trade. The World Customs Organisation (WCO) keeps the International Harmonised System products nomenclature and manages the technical aspects of the World Trade Organisation (WTO) Agreements on Customs Valuation and Rules of Origin. 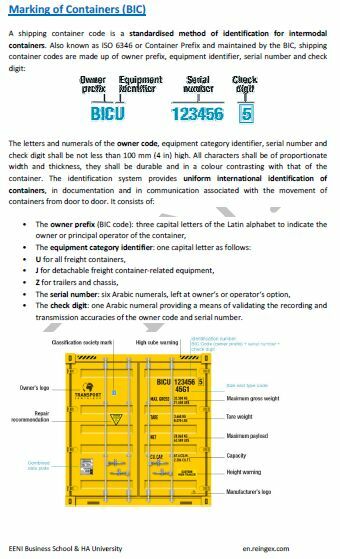 The World Customs Organisation (WCO) has developed the Harmonised Commodity Description and Coding System (Harmonised System - “HS”), an international product nomenclature. 98% of International trade in goods use the Harmonised System. The European Union, The customs territories of Netherlands Antilles, Bermuda, Hong Kong, and Macau, Albania, Algeria, Andorra, Angola, Argentina, Armenia, Australia, Austria, Azerbaijan, the Bahamas, Bahrain, Bangladesh, Barbados, Belarus, Belgium, Benin, Bhutan, Bolivia, Botswana, Brazil, Brunei Darussalam, Bulgaria, Burkina Faso, Burundi, Cambodia, Cameroon, Canada, Cape Verde, Central African Republic, Chile, People's Republic of China, Colombia, The Comoros, Congo, the Republic of the, Costa Rica, Ivory Coast, Croatia, Cuba, Cyprus, The Czech Republic, Democratic Republic of the Congo, Denmark, Ecuador, Egypt, Eritrea, Estonia, Ethiopia, Fiji, Finland, Republic of Macedonia, France, Gabon, The Gambia, Georgia, Germany, Ghana, Greece, Guatemala, Guinea, Guyana, Haiti, Hungary, Iceland, India, Indonesia, Iran, Iraq, Ireland, Israel, Italy, Jamaica, Japan, Jordan, Kazakhstan, Kenya, Korea (Republic of), Kuwait, the Kyrgyz Republic, Latvia, Lebanon, Lesotho, Liberia, Libya, Lithuania, Luxembourg, Madagascar, Malawi, Malaysia, Maldives, Mali, Malta, Mauritania, Mauritius, Mexico, Moldova, Mongolia, Morocco, Mozambique, Myanmar, Namibia, Nepal, Netherlands, New Zealand, Nicaragua, Niger, Nigeria, Norway, Oman, Pakistan, Panama, Papua New Guinea, Paraguay, Peru, The Philippines, Poland, Portugal, Qatar, Romania, Russian Federation, Rwanda, Samoa, São Tomé and Príncipe, Saudi Arabia, Senegal, Serbia, the Seychelles, Sierra Leone, Singapore, Slovakia, Slovenia, South Africa, Spain, Sri Lanka, Sudan, Swaziland, Sweden, Switzerland, Syria, Tajikistan, Tanzania, Thailand, Timor-Leste, Togo, Trinidad and Tobago, Tunisia, Turkey, Turkmenistan, Uganda, Ukraine, United Arab Emirates, The United Kingdom, The United States of America, Uruguay, Uzbekistan, Venezuela, Vietnam, Yemen, Zambia, Zimbabwe. No members Countries of the World Customs Organisation: Antigua and Barbuda, Saint Kitts and Nevis, Saint Vincent and the Grenadines, Grenada, Dominica, Guyana, Equatorial Guinea, Somalia, North Korea, Liechtenstein, Monaco, San Marino, Vatican City, Palau, Solomon Islands, Micronesia, Kiribati, Marshall Islands, Tuvalu, Nauru, Cook Islands, Niue and Palestinian Authority, Taiwan, Sahrawi Republic, Kosovo.